Peter A. French is the Lincoln Chair in Ethics, Professor of Philosophy, and the Director of the Lincoln Center for Applied Ethics at Arizona State University. His Ph.D. is from the University of Miami and he did post-doctoral work at Oxford University. He was awarded a Doctor of Humane Letters (L.H.D.) honorary degree from Gettysburg College in 2006. French is the author of nineteen books including The Virtues of Vengeance; Cowboy Metaphysics; Ethics and College Sports; Responsibility Matters; Corporate Ethics; and Collective and Corporate Responsibility. He has published dozens of articles in the philosophical and legal journals. Works by him have been translated into Chinese, Japanese, German, Italian, French, Serbian, and Spanish. Howard K. Wettstein is Professor of Philosophy at the University of California, Riverside. He holds an M.A. and Ph.D. from the City University of New York and a B.A. from Yeshiva College. He has authored two books, The Magic Prism: An Essay in the Philosophy of Language and Has Semantics Rested On a Mistake? and Other Essays, and edited others including Themes From Kaplan (co-edited) and Diasporas and Exiles: Varieties of Jewish Identity. 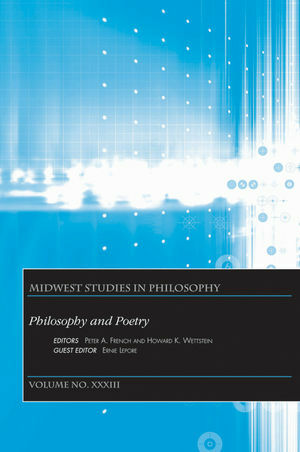 He is currently writing a new book in the philosophy of religion; his work in that area includes such topics as doctrine and the viability of philosophical theology; the Book of Job and the problem of evil; the Akedah (the Binding of Isaac); the character of religious experience and religious life; and the roles of awe, ritual, and intimacy.